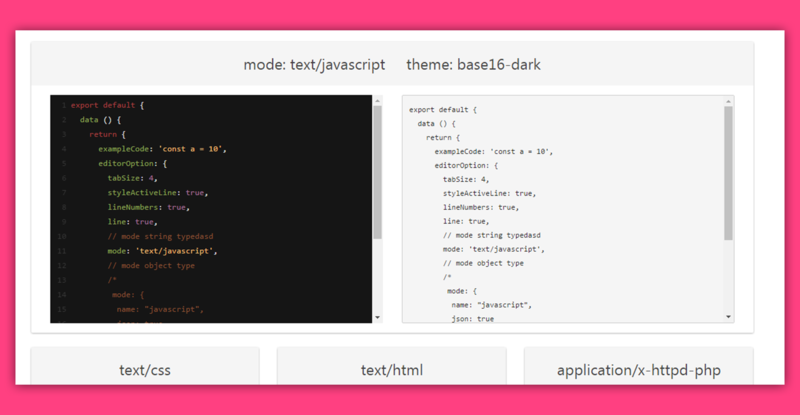 You can see some code examples for some editors, and some additional configuration APIs. Check it on GitHub, here. Vue-codemirror is maintained by surmon-china.